VCL components for viewing, printing, and converting documents. 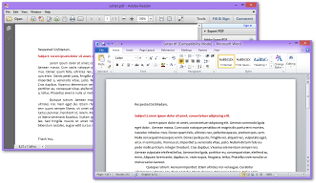 Supported formats include PDF, DOCX, BMP, PNG, JPEG, WMF, EMF, and (single-page and multi-page) TIFF. VCL components to export reports from FastReport, ReportBuilder, QuickReport, Rave Reports, and ACE Reporter reporting tools. Output formats include PDF, PDF/A, XLSX, RTF, HTML, XHTML, TXT, SVG, TIFF, PNG, JPEG, GIF, and BMP. PDF/A support includes compliance with PDF/A 1b, 2b, and 3b versions. PDF/A-3b support complies with ZUGFeRD electronic invoicing standard. 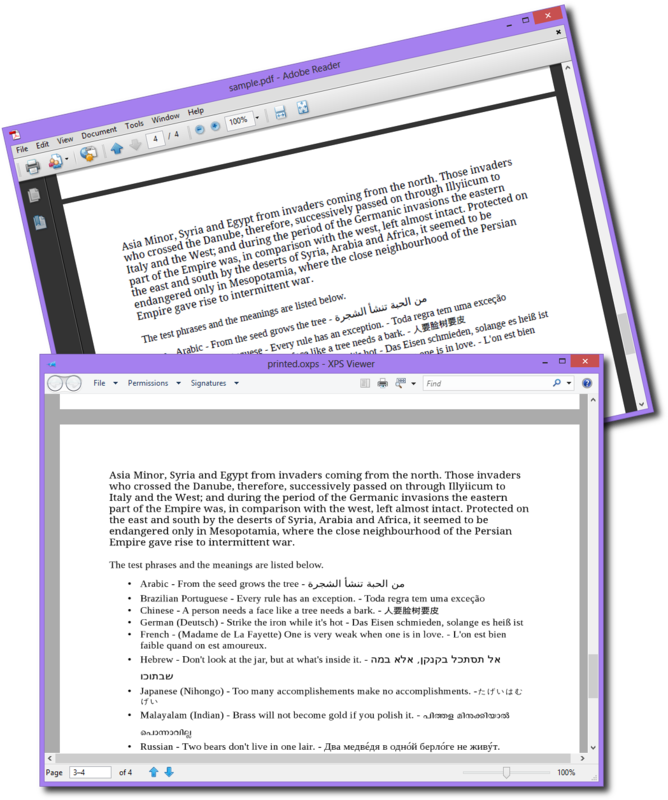 FMX components for viewing documents. 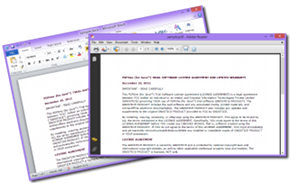 Supported formats include PDF, DOCX, BMP, PNG, JPEG, WMF, EMF, and (single-page) TIFF. Platforms supported under VCL are Win32 and Win64. Platforms supported under FMX are Win32, Win64, macOS, iOS, and Android. Gnostice Document Studio Delphi is written in 100% Object Pascal for both VCL and FireMonkey. It can process and display all supported formats without requiring external software such as Microsoft Word, Open XML SDK, Adobe PDF library or GhostScript. 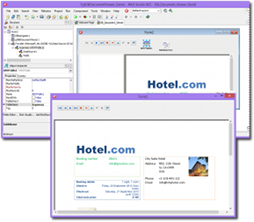 All Gnostice Delphi/C++Builder developer tools including Gnostice Document Studio Delphi are available in the highly-discounted Gnostice DevSystem Delphi Subscription bouquet. 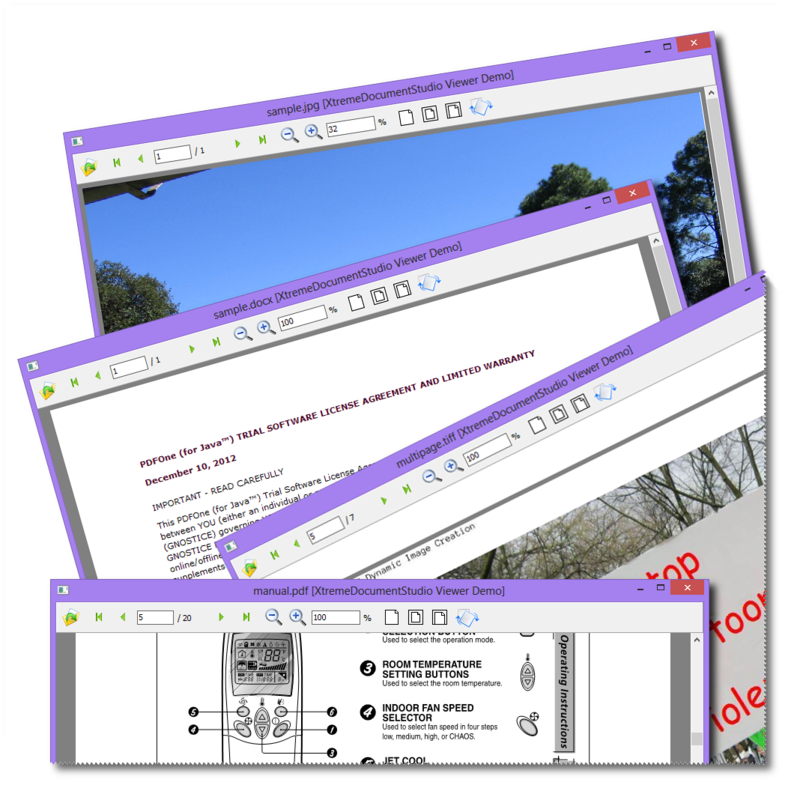 VCL, FMX: Use a single viewer control to display multiple formats - documents (PDF and DOCX) and images (BMP, JPEG, PNG, WMF, EMF and TIFF). 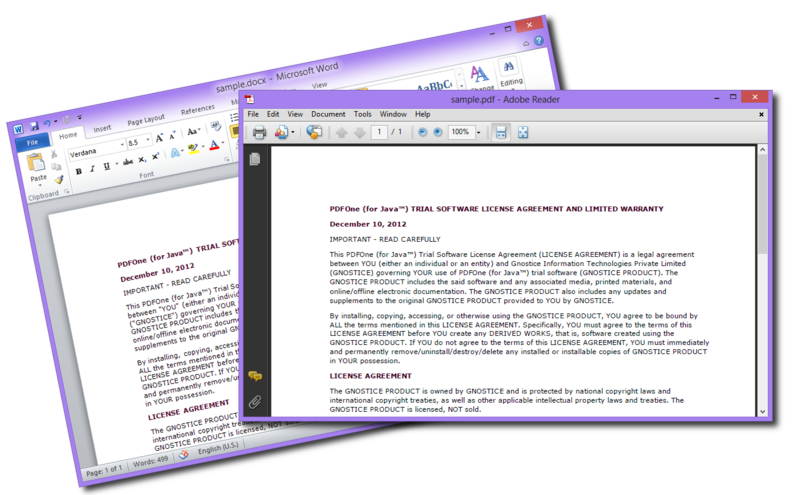 FMX: Native multi-format FireMonkey document viewer for Windows, Mac, iOS and Android. VCL: Advanced printing of PDF, DOCX, BMP, JPEG, PNG, WMF, EMF and TIFF files. VCL: Conversion support for PDF to RTF, text, and images; DOCX/DOC to PDF, and image; image to image exports. Export reports from FastReport, ReportBuilder, QuickReport, Rave Reports, and ACE Reporter to PDF, PDF/A, XLSX, RTF, HTML, XHTML, TXT, SVG, PNG, JPEG, GIF and other formats. Report-export PDF/A support includes PDF/A 1b, 2b, and 3b versions. PDF/A-3b support complies with ZUGFeRD electronic invoicing standard. 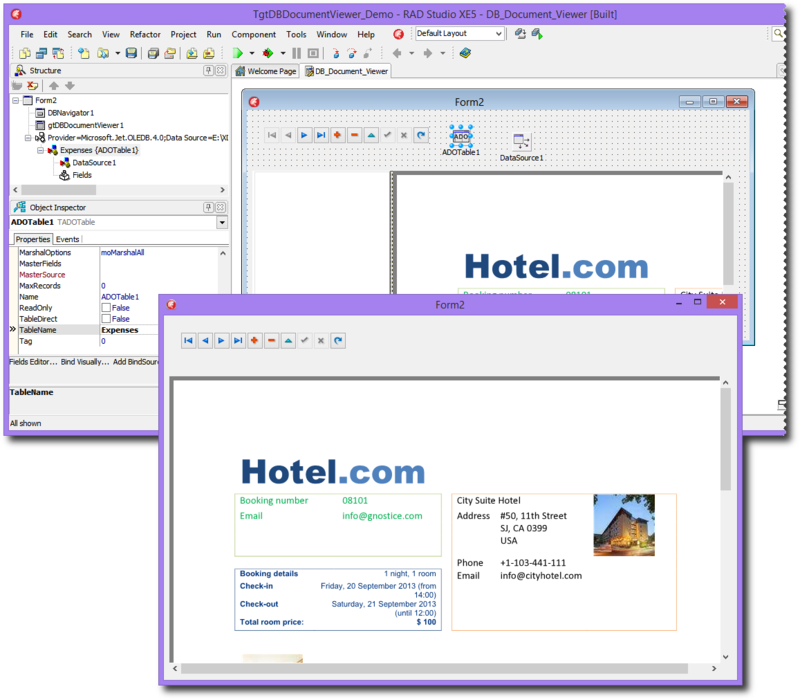 StarDocs Document Server Viewer edition license in the Ultimate edition - add an HTML5 Document Viewer in your web applications using REST APIs. Pure Delphi Pascal code (except OCR engine). Support for files, streams and DB blobs. 12 months free upgrades (major and minor) and priority e-mail support. Target Windows, Mac OS X, iOS and Android. Have documents in a database? No need to get into a mess reading the blob! Load form field values from a database! Please ensure that your systems meets these requirements. Report export configurator included to configure report-export controls for installed reporting tool versions. View PDF, DOCX and image files on FireMonkey mobile and desktop DataSnap applications. Introduced report-export components for QuickReport, ReportBuilder and ACE Reporter. Support for PDF/A-2B and PDF/A-3B output. Support for ZUGFeRD electronic invoicing standard for PDF/A-3B documents. Support for PDF digital signatures. Signature properties can be set through EncodersSettings. Support for adding document-level PDF attachments. Introduced events - AfterBeginJob, AfterEndJob, BeforeBeginJob, BeforeEndjob. Setting ZoomMode has no effect. PDF: Memory leak when viewing some PDF documents. Introduced FileName property, through which document viewer can be LiveBound to fields containing input file(s) paths. Setting ZoomMode has no effect at design-time. TgtFRExport component for exporting FastReport reports to PDF, PDF/A, RTF, HTML, plain text and image formats. ExportToFile and ExportToStream methods to programmatically export reports. EncodersSettings property for configuring format-specific settings. VisibleFormats property to specify output formats to be available in the Report Preview. OpenAfterExport property to automatically open the output document after it is saved to file. Installer duplicates library paths in RAD Studio XE6 and later versions. PDF: Interactive form-filling using viewer. PDF: Data-aware form-filling using viewer. New SaveToFile and SaveToStream methods in viewer. New Preferences.AllowedOperations property in viewer. New FieldDataSource property in viewer. New FieldMapping(FieldName) function in viewer. New OnDocItemActivity event in viewer. Export PDF form data into database using new vcl.gtxDocumentDataExtractor helper unit. Added demo project for document data upload. Added demo project for data-aware form-filling. Images are not rendered properly in some PDFs. C++Builder compilation issue in new JBIG2 decoder. PDF: Some masked JBIG2 images are not rendered properly. PDF: Images with predictor value equal to 10 are not rendered properly. PDF: Memory leaks when viewing certain types of PDF documents on 64-bit platforms. Only one copy created irrespective of value set for PrintManager.Copies. VCL - Prefix of Zoom.ZoomMode enum values changed from "sztFit" to "zmFit" for a more logical naming convention. PDF: Added support for JBIG2 images using new all-Delphi JBIG2 decoder for clean cross-platform compatibility and C++Builder support. Added PageSize property to TgtBeginPrintJobEventArgs - for obtaining the size of a page before it is printed. 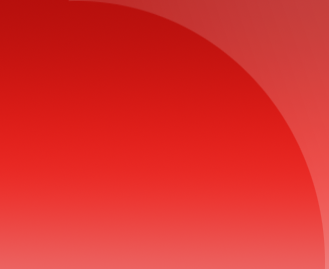 PDF: Pages of documents containing DCT-encoded image(s) with soft mask are rendered blank. 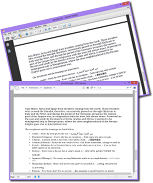 PDF: Text overlaps when rendering some documents. PDF: 'Strasa' symbol is not rendered for some documents. Several access violations and memory leaks. Value set for TgtDocumentPrinter.PrintManager.Copies is not applied correctly. Support for latest Delphi SDK for Gnostice StarDocs. Some text is not displayed in some PDFs. 'File not found' exception encountered when converting from any format to text. Memory leaks with some PDFs in 64-bit targets. Text is not displayed in some PDFs in 64-bit targets. Error encountered if print job is cancelled before completion - occurs with software printers. Added support for DOCX-to-text conversion. Added support for images-to-RTF conversion. Added support for PDF-to-text conversion. PDF images with "color key mask" and RGB/CMYK colorspace are not rendered properly. "$ is not a valid integer" exception with DOCX files created using Quickoffice. Uninstaller becomes unresponsive after completion. Added support for RAD Studio XE7. Installation error in RAD Studio XE3. Support for rendering "Masked Images"
A Gnostice Document Studio Delphi developer subscription comes with free priority e-mail support for 12 months. Please send your queries to support at gnostice.com. Please ensure that your mail system does not block e-mail from our domain gnostice.com. (Our support system will send you an autoresponder within a few minutes of your e-mail.) You can also use our online feedback form to send us support queries. A Gnostice Document Studio Delphi developer subscription comes with free updates (major and minor) for 12 months. Our news page provides information on the latest updates to our products. You can also subscribe to our news RSS feed to get notified of the latest updates. The installer program will also create a local copy in your computer when you run it. Currently, the documentation is not updated for the name changes. The new documentation will be released in the upcoming updates. We have also published technical articles related to Gnostice Document Studio and other Gnostice developer tools, as part of Gnostice Newsletter. 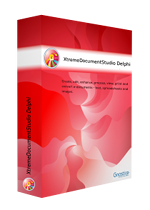 The older articles use the old name, XtremeDocumentStudio Delphi. The new articles refer to the product with the new name. To subscribe to the newsletter, send a blank e-mail to info@gnostice.com with the subject set to "SUBSCRIBE". You can also get notified of the latest articles via our newsletter RSS feed.